First published in English in 1931, this novel for young adults is an accurate mirror of many of the space travel concepts that have been discussed by pre-war European experts. The author’s imaginative theories about the history of the Earth—many of which presage those of Velikovksy and von Daniken—are explored, and the original illustrations are included as well as an afterword about the author and his sources by Ron Miller.Ron Miller is the former art director for the National Air and Space Museum's Albert Einstein Planetarium. This edition also includes a biographical introduction by Robert Godwin, principal editor of Apogee Books. 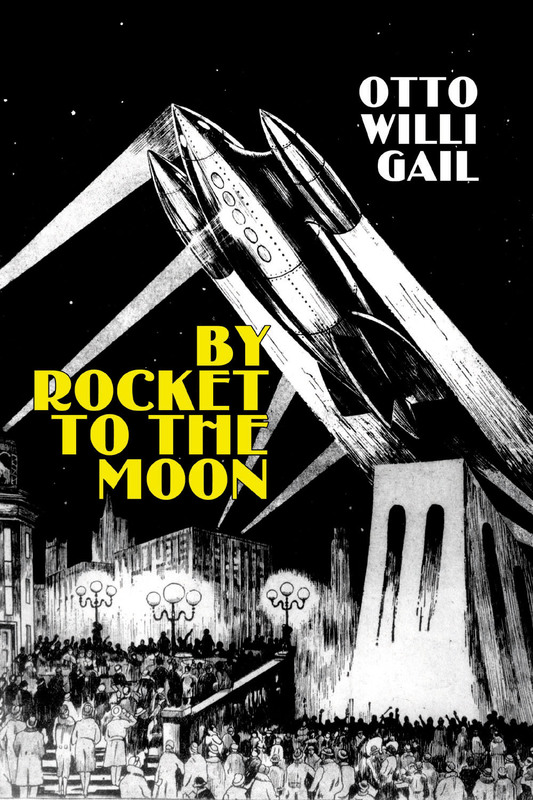 Otto Willi Gail was one of the most popular science fiction authors in Germany during the early 20th century. When all-American Gibson Girl Zaidie Rettick married Lord Redgrave little did she think her honeymoon would take her on an adventure through the solar system. George Griffith's 1900 classic introduces his heroine and hero to the gentle Bird-Folk of Venus, the horrifying monsters of Jupiter and the fleets of aerial battleships of the evil Martian warlords. Includes the original Stanley L. Wood illustrations. This is the most complete bibliography and filmography of the members of The Science Fiction Hall of Fame ever compiled. Each of the Hall of Fame's members is featured with a complete listing of their works. The Hall of Fame includes authors, artists, editors and filmmakers. These are the best of the genre, and their visions have changed the world..
Campbell, Gernsback, van Vogt, Williamson, Asimov, Clarke, Wells, Heinlein, Bradbury, Verne, Le Guin, Moorcock, Burroughs, Aldiss, Shelley, Harryhausen, Spielberg, Lucas, Roddenberry, Serling, Trumbull, and Zelazny. 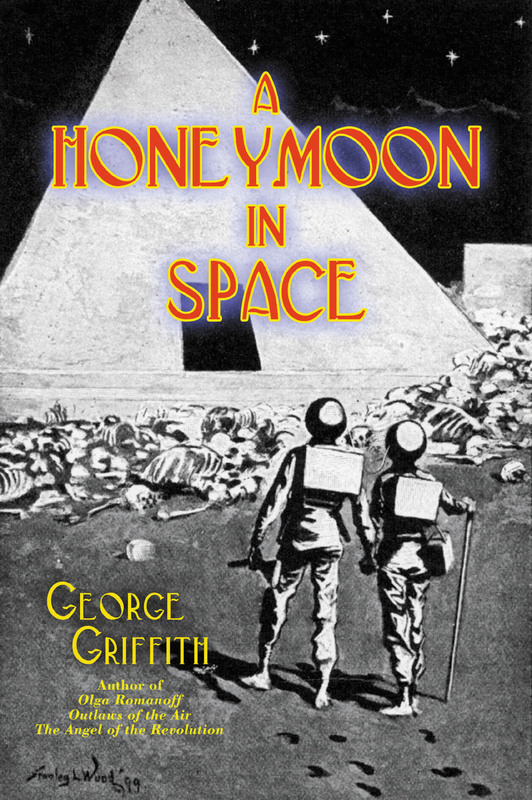 From 1893-1895 George Griffith was the most famous science fiction writer in England. His books entranced the readers of the 19th century with tales of Martians, submarines, immortality, rogue comets and even spaceships whizzing around the solar system. He invented the Countdown in 1897 and his son would become the co-inventor of the jet engine. Griffith's name became synonymous with high adventure and so in the Spring of 1894 he was recruited to follow in the mythical footsteps of Jules Verne's Phileas Fogg. In just 65 days Griffith traveled through 24 time zones and established a new world record. Now for the first time in over 100 years his story can be retold along with a lengthy biography of his many literary achievements by noted space writer and editor, Robert Godwin. The year was 1909 and Garrett Putnam Serviss was already a respected science writer for the Hearst newspaper group. Serviss’ reputation was such that his articles appeared in almost every major American magazine. 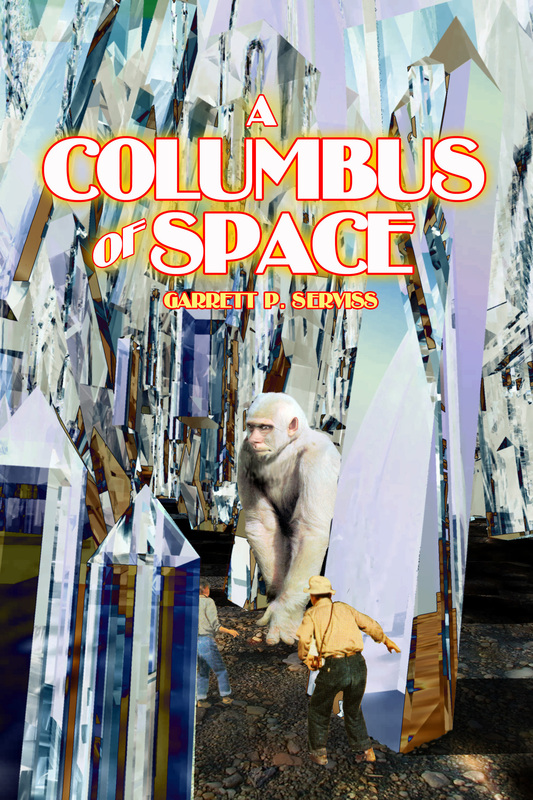 Beginning in January of that year Frank Munsey’s All-Story magazine began the serialization of Serviss’ epic science fiction adventure A Columbus of Space. Just three months earlier the visionary rocket pioneer, Robert Goddard, had submitted an article to Popular Science magazine about the possibilities of nuclear propulsion for space travel. Goddard’s article was rejected, but Serviss had no such problem with his science-fiction adventure story. 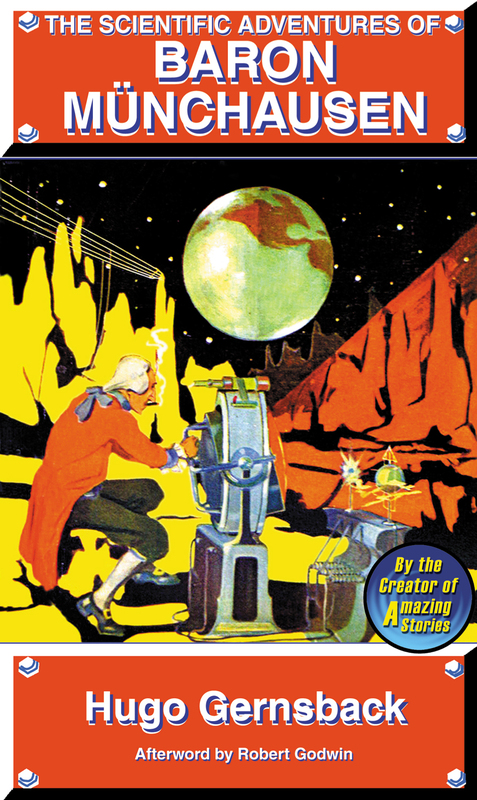 In August of 1926 Serviss’ story was resurrected in the pages of Hugo Gernsback’s Amazing Stories magazine. In fact Serviss was featured in eight of the first eleven issues of Amazing. A Columbus of Space is an adventure thriller written at a time when Venus was still believed to only show one hemisphere to the sun and Venusian life was still thought to be possible. In 1915 the father of modern science fiction contributed to the long list of adventures of the 18th century super-hero, Baron Münchausen. Hugo Gernsback used his magazine Electrical Experimenter as a proving ground for his theory that science fiction could be used to teach science. Never before published as a book, and complete with the original illustrations, this is early 20th century science fiction by the man who made science fiction famous. Hugo Gernsback is often called the father of science-fiction. In 1926 he created the world’s first regular science fiction periodical, Amazing Stories but long before that he tested the market for science fiction within the pages of his science magazines. Between 1912 and 1929 Gernsback was the unchallenged champion of fiction with a scientific edge. In the 1950’s the highest award in science fiction was named after him. In 1894 the most famous science fiction writer in England was George Griffith. His stories introduced an extraordinary array of technological marvels to an appreciative British audience but his novels were almost never published in America. Griffith is rarely considered to be in the same league as H.G. Wells but Wells admired Griffith for his ability to write great high adventure stories while packing them with plausible science and prophetic invention. In 1897 Griffith wrote The Great Crellin Comet, a short story that introduced the concept that technology could stave off Armageddon and could save humanity from suffering the ignominious fate of the dinosaurs. In the process Griffith invented the countdown, an eminently practical and dramatic tool that is still used today for space launches. 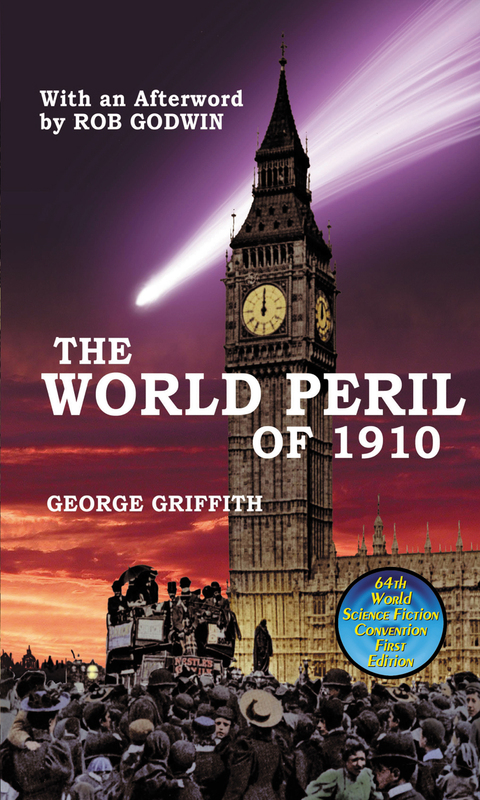 In 1905 Griffith expanded this tale into a full fledged novel of science and romance, changing its name to The World Peril of 1910. For the first time in over a hundred years these two stories or reproduced here complete and unabridged.